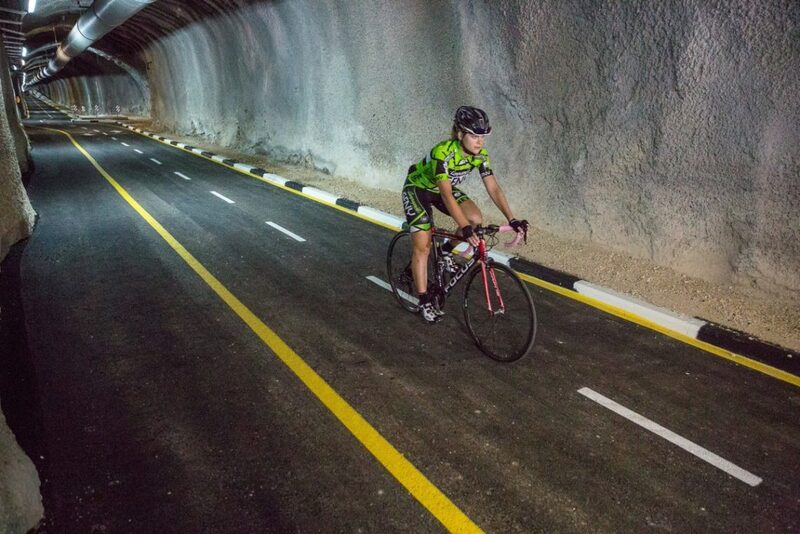 Jerusalem has opened a new 2.1km cycle tunnel, originally built for a sewage system. The path provides a direct connection between the two largest streams in Jerusalem. The tunnel was built for a sewage pipe with a one-lane road next to it for the water company to use to maintain the pipe. But they’ve recently modified it to now have a two way bike path. The tunnel is three meters wide, and although it contains a large sewage pipe, it is well ventilated and there is no bad smell. Air-quality monitoring has shown that there is no exceptional pollution in the tunnel. The path is being opened for a bike race, then closed for safety inspections and reopened in a few months. 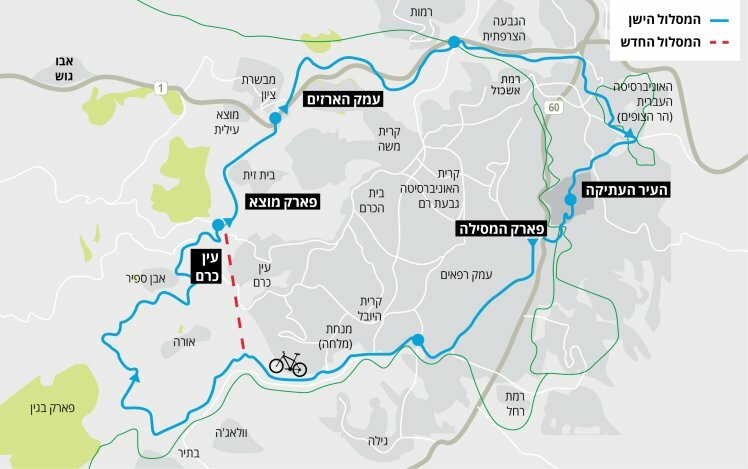 Two years ago, Eyal Haimovsky, CEO of the Jerusalem Development Authority decided to pave a track through the tunnel, above the water passage, and add it to the Jerusalem circular biking trail, a 42-kilometer-long route that passes through several parks and nature reserves around Israel’s capital. 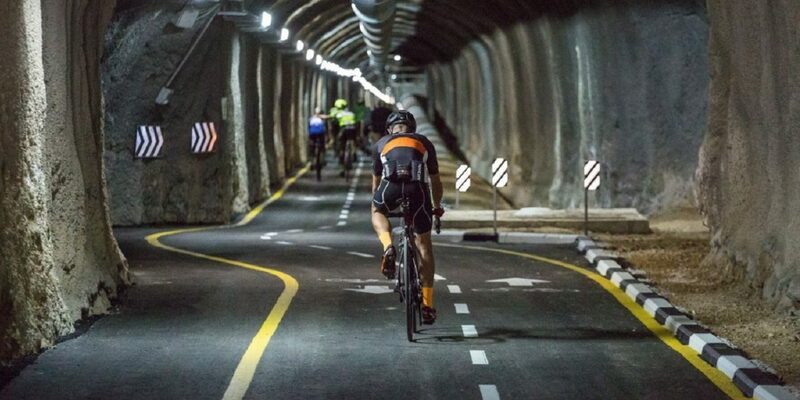 #Jerusalem is preparing for #Ride4Jerusalem week, when we'll host a number of int'l cycling events in our eternal capital! Mark your calendars: #GFNY on Apr 27 & #giroditalia2018 on May 4!